This entry was posted in author, interview, Uncategorized and tagged D-List Supervillain, indie author interview, Jim Bernheimer. Bookmark the permalink. Looking forward to the second Spirals novel! 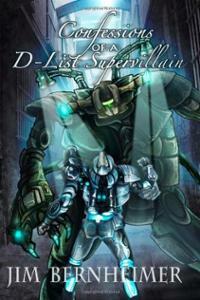 Also, I really enjoyed Confessions of a D-List Supervillan, both in print and audiobook.